Recently, we went back home for a visit due to family circumstances. We hadn’t been home in almost a year, and I was unsure how my 3 year-old daughter would react to our family and friends. After all, she is a completely different toddler from the one who visited Singapore in December. She has changed immensely in the past six months; on some days she’s more clingy, on others she’s everyone’s best friend and sends flying kisses to all. There are also (many) days when she’s grumpy beyond belief especially when she’s tired. Sometimes she just charms the socks off everyone including her extremely gullible parents. She definitely has a feisty personality and never hesitates to opine that a person is silly, funny or wonderful. As I packed for the trip, I felt a mounting apprehension about how she would be with the family. At 15 months old, she moved away from Singapore, where she was born. Since then, she has spent more of her life overseas than she has in her home country. Much of her extended family is scattered all over the world, in countries like Australia, New Zealand, America, UK, France and Canada. In fact, as I type this, we are visiting my in-laws who are currently residing in Oman. Our life is truly an expat life. All these factors left me with many questions about our return. Would she remember her cousins, aunties and uncles? Or would she think of them as strangers? Would they think she was too different from what they knew her as before? What if there was a gulf that time and space had created? Has her expat life separated her from her roots? To be honest, these are questions that frequently run through my mind. I often wonder whether my daughter will be able to have strong ties to her family. Will she have sufficient permanence in her life? I fret over her emotional stability because we often move every few years for my husband’s job. He grew up as an expat kid too, moving every few years between Singapore and postings to other countries. As he got older, he kept to himself increasingly as the reality of leaving close relationships behind became more evident and painful. While this survival approach to an expat life may be pragmatic, I’m not quite sure if I’d want my daughter to do the same, either with friends or family. So the questions remain – how do we maintain close relationships despite the differences in time and space; how can I help her to keep that bridge open? And I know that a huge part of this responsibility belongs to me, particularly because she’s so young right now and I need to help her establish a lasting basis for these relationships. And what I learned during our trip? That this is a pertinent issue that requires greater deliberation, and which we need to keep talking about because it is one of the biggest challenges of being an expat family. However, it also became clear to me that it’s not going to be as tough as I thought. Firstly, I’ve noticed that my daughter seems to have an innate connection to her family, and she possesses a desire to know more about everyone. She constantly asks questions about them, and remembers their encounters, especially when we look at photographs together or when we come across a gift that someone has given her. And very importantly, our families make such an effort to connect with her. They constantly engage with her, and treat her not as a child, but as a little person with her own personality. In the short time we were home, I feel that she has built a strong relationship with many of our family. Naturally, they have left very deep impressions on my young child, and she must feel that they are important because she keeps talking about them. So half the battle is already won. Now we just have to keep on building on those strong foundations. Do you lead an expat life? If so, how do you ensure that your family relationships remain strong? 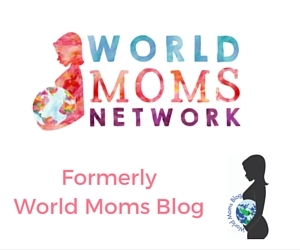 This is an original post to World Moms Network by Karen in Abu Dhabi, United Arab Emirates. Since getting married in 2007, Karen has been a trailing spouse and has followed her husband on his job postings. Currently living in Abu Dhabi (UAE), she has a precocious toddler and spends her days keeping up with her little one. Prior to being a stay-at-home mum, Karen was a Literature teacher; she still continues her love affair with books and rarely goes to bed without fulfilling her ritual of reading. She chronicles her overseas adventures with her family on her blog, Mummy In Transit. 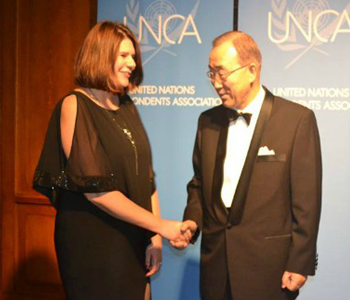 What an international family, Simona! I think once you’ve established yourself somewhere, it’s hard to move away. Your life and family is now in Cape Town, and I can understand why you wouldn’t want to uproot yourself again. Thank goodness for Skype and Facebook, I also rely a lot on whatsapp these days! It’s still a world away, but it’s so much easier, isn’t it? That is quite the international family you have. I love it!! I’m not an expat, but my husband is from the UK. So, I can relate with keeping up international family relationships. Video call, video call, video call! I bet you do this already, but it is a great way to check in with everyone like they are in the room. We are lucky that we get to see our UK family at least once a year in person, too. But, if too much time has passed and we haven’t been in touch, we schedule a video call. I would say that my 9 year old and 5 year old have remained close with their family in the UK! Jennifer, yes we are certainly well-represented in many parts of the world. Sometimes it does get difficult keeping up with time zones and telling T who’s who and where they live etc. Her grandparents live in Singapore and Oman, her great-grandmother and godfather live in Australia, we live in the Middle East. She hasn’t hit me with questions on why she lives far away from everyone, but she does seem cognizant of the fact. For some reason, we don’t do skype as much as we should, though we share a lot of videos, photos and messages via whatsapp. And we talk a lot about family.